← 23. High summer with friends and family. 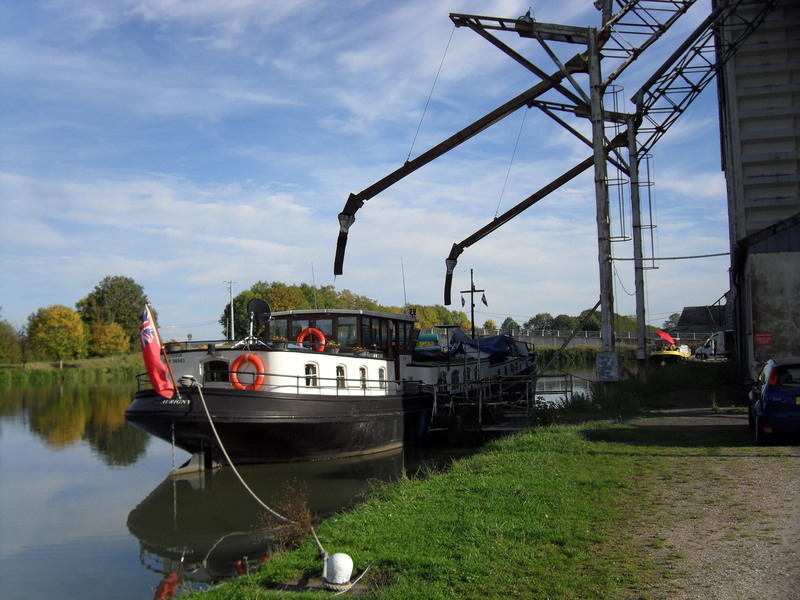 With almost two months left before we could enter our winter mooring at Briare, we decided to cruise slowly south on waterways hitherto unexplored by us, although ‘Aurigny’ had been there in her past life as ‘Captain’s Lady’. With Peter heading off to Belgium on a motorcycle trip with friends in a few days, we needed to find somewhere suitable to moor for a week. 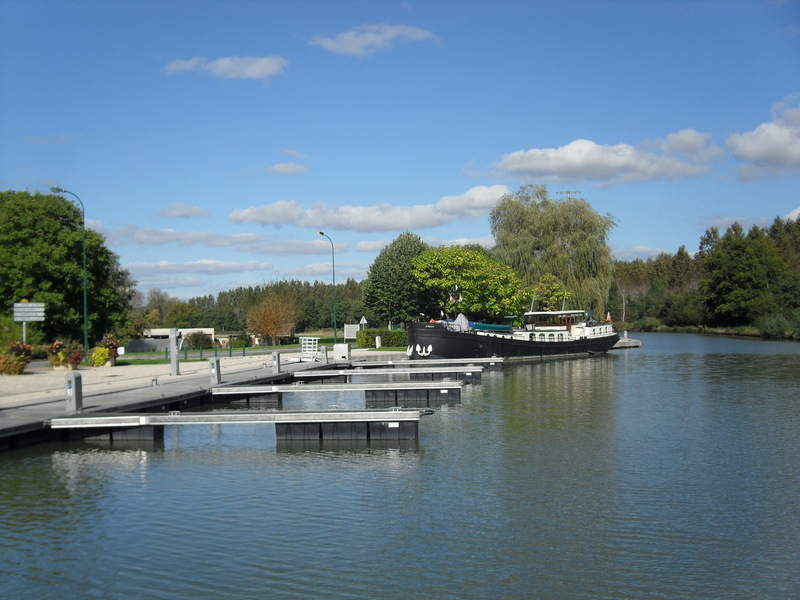 As luck would have it, the quay at Souppes-sur-Loing had plenty of space and at 42 euro for a week’s mooring with electrics and water was perfect. The only fly in the ointment was our crane which decided to break down as we started lifting the motorcycle off, spewing hydraulic fluid everywhere. Fortunately we were still able to complete the task and Peter took me back to Montereau to pick up the car on his way to Belgium. After a few of days home alone, Peter returned after an enjoyable trip and we faced the task of getting the motor cycle back onto the barge. The hydraulic pump was kaput, but the lifting arm still worked and Peter was able to turn the cog manually and slowly but surely the arm swung the motorcycle onto the deck. 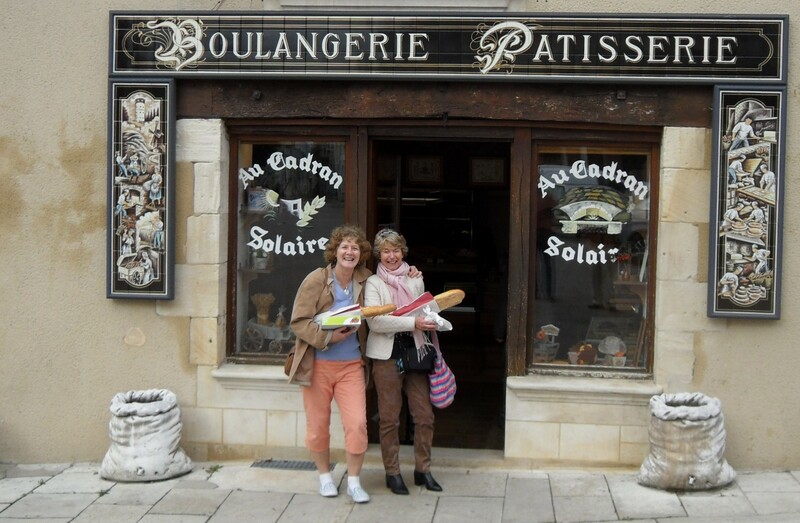 We cruised to Montargis which we had visited by car a few weeks before. The town is quite pretty, but we felt the title ‘Venice of the Gatinais’ was somewhat pretentious. Our mooring in the Commercial port was quickly reduced to one night when we discovered it would cost 42,40 euro for two. 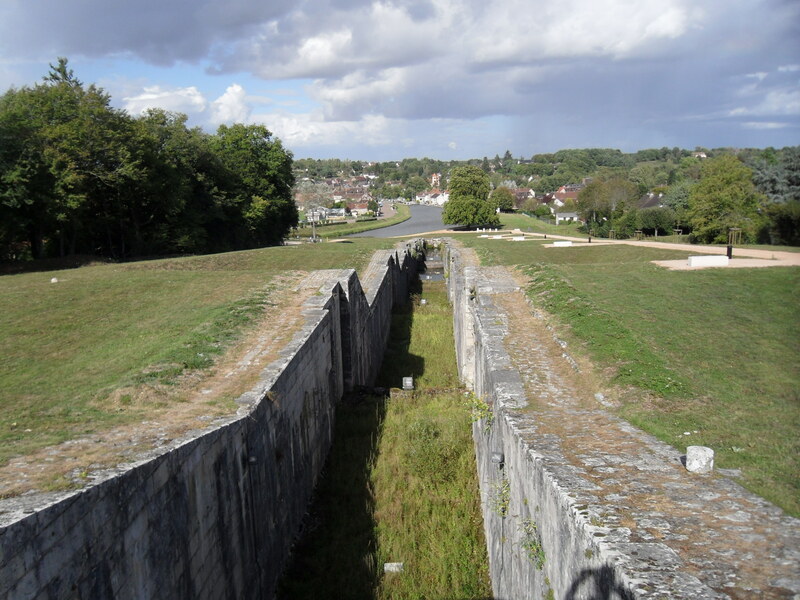 I phoned the lock keeper after lunch the next day and we set off passing through the two town locks and relinquishing our zapper at Marolles Lock. 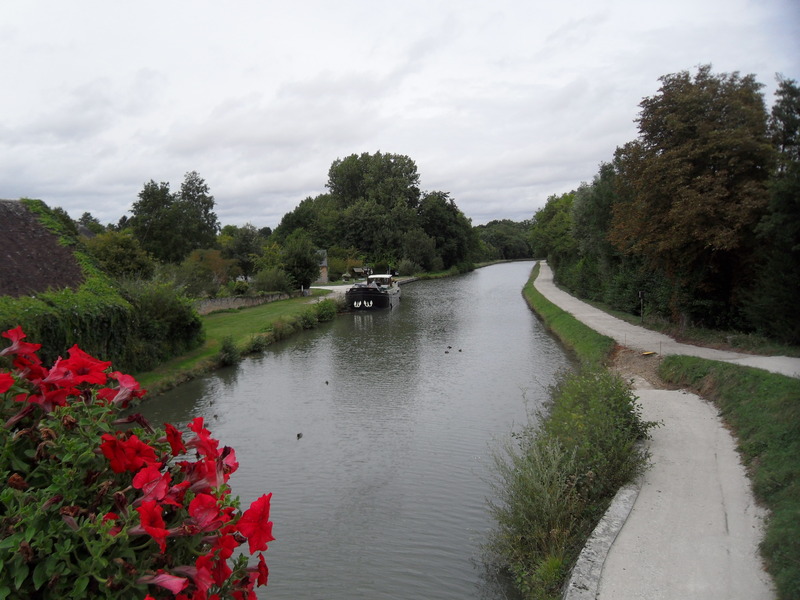 We were now on the Canal de Briare, just a couple of day’s cruisng from Briare itself. Winding our way through the town centre. Two deep locks raise us quickly. 10km and a couple of locks later, we stopped in sunshine on a wild mooring just beyond a lock. An hour later, the lock keeper politely asked if we minded moving to a picnic mooring before the next lock as a hotel barge needed the length at our mooring. 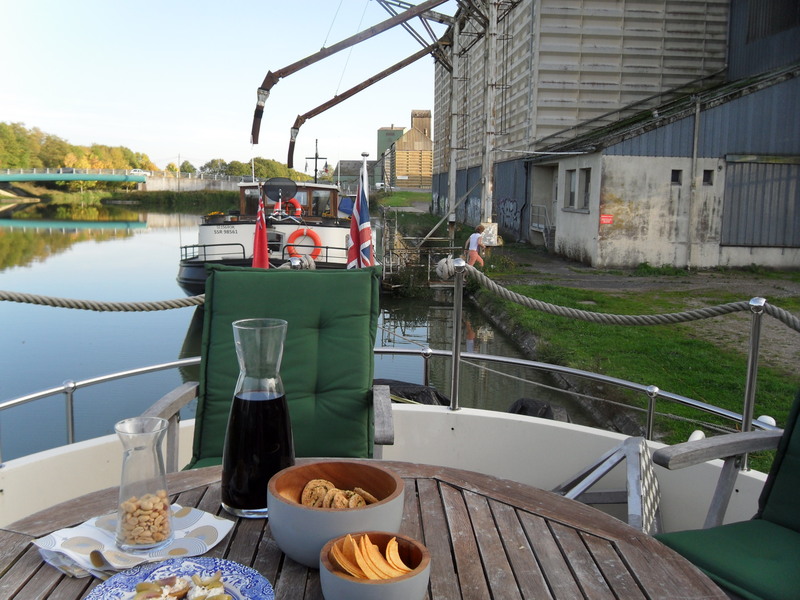 So off we set…and as we tried to moor at the new spot the hotel barge passed us giving thanks. It soon became clear that depth was the problem, not length and the new spot was no good for us either! Our short day had turned into a considerably longer one as we now had to go up a chain of four locks before we could stop. Fortunately there were suitable bollards a few hundred metres beyond the last lock and the elderly chap in the nearby farm helped us to moor up and then presented us with home grown tomatoes, parsley and spring onions. How kind. 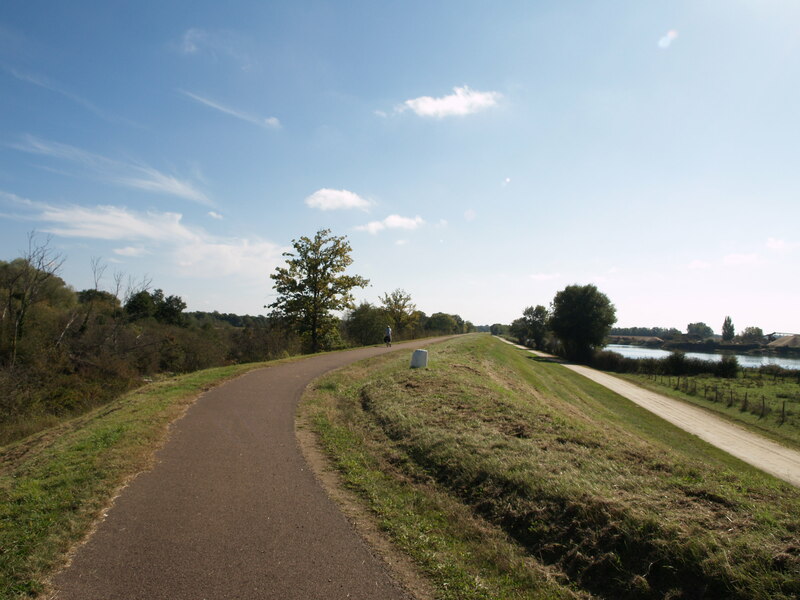 Along the way we see several places where the canal has been improved and old lock staircases bypassed. 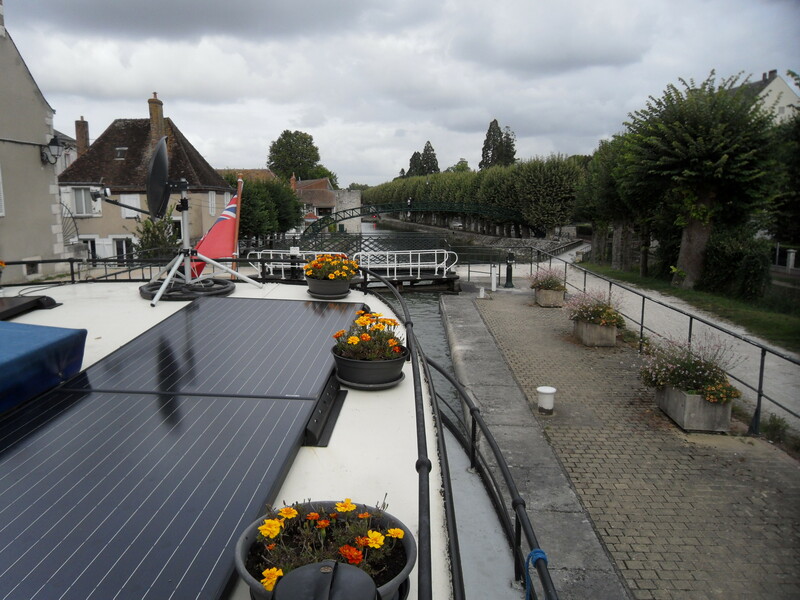 Our next stop was the town of Montbouy where the mooring was free and electrics and water were 2,50 euro for 4hours. 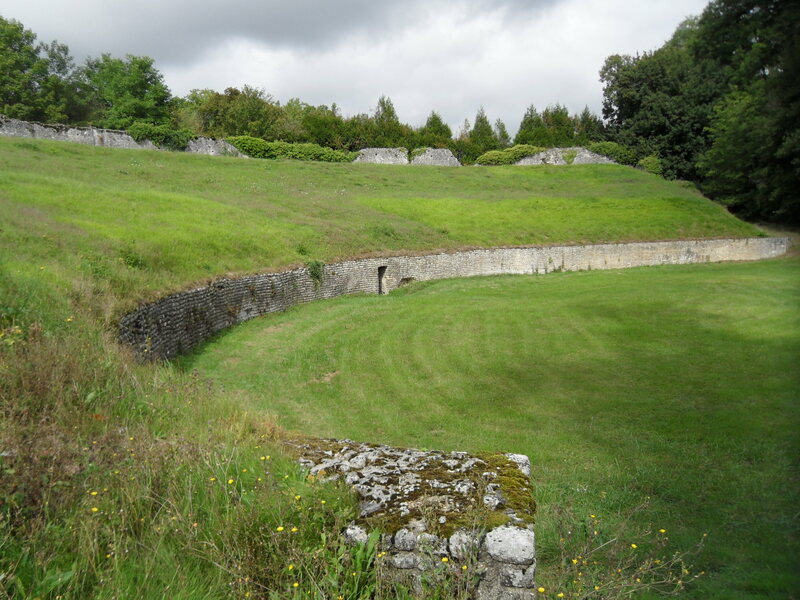 We stayed the weekend and enjoyed several walks including one to a nearby Roman Amphitheatre. Pleasant spot for the weekend. 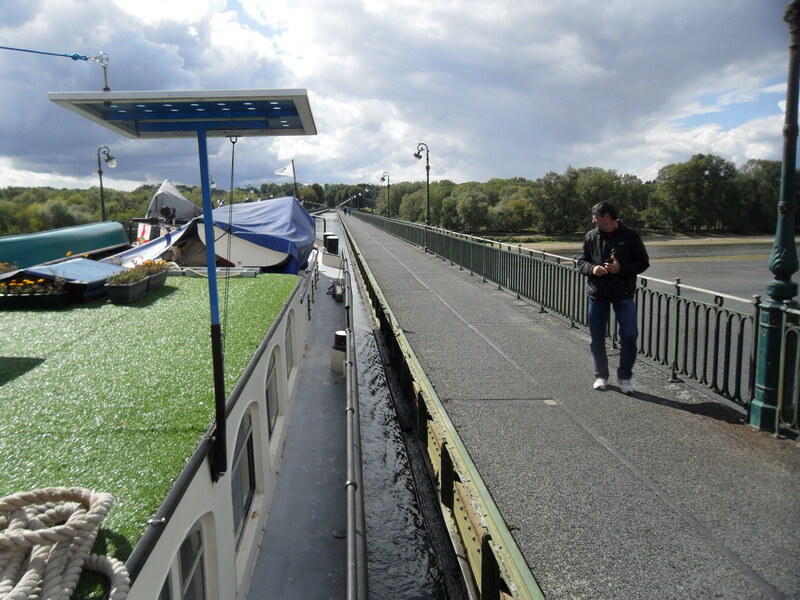 On Monday morning we followed hotel barge ‘Meanderer’ to Rogny-les-Sept Ecluses and were soon followed by Tjalk ‘Sojourn’. After walking up to admire the Sept Ecluses of the old canal, we joined Pam, Rob and their guests on ‘Sojourn’ for aperos. The old staircase at Rogny-les-Sept Ecluses. The town has limited shopping facilities and we weren’t sure how long to stay there, but the cost of the moorings (22 euro) helped make our minds up and we headed off after ‘Sojourn’ the next morning. Setting off the following day, the old and the new. 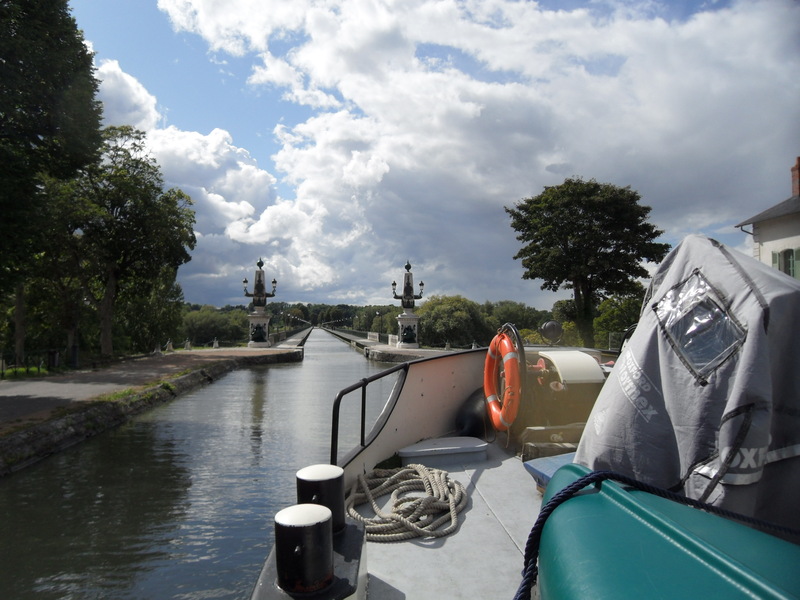 The Canal de Braire is very pretty and the lock keepers friendly and helpful. There are several sections where the original locks have been replaced by newer ‘Freycinet’ ones (as at Rogny) and the old workings can still be seen. 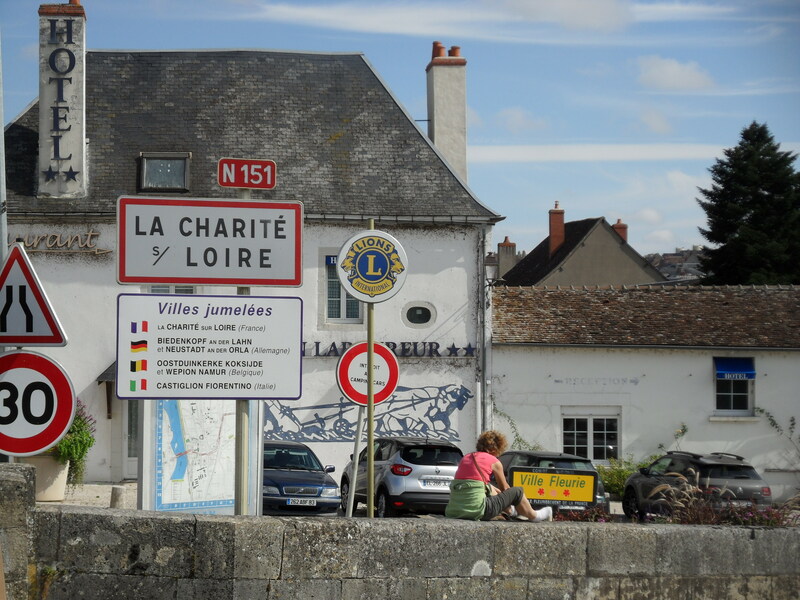 With six uphill locks followed by six downhill ones to negotiate in increasingly strong winds, we were pleased to finally reach Ouzouer-sur-Trezee and stop. 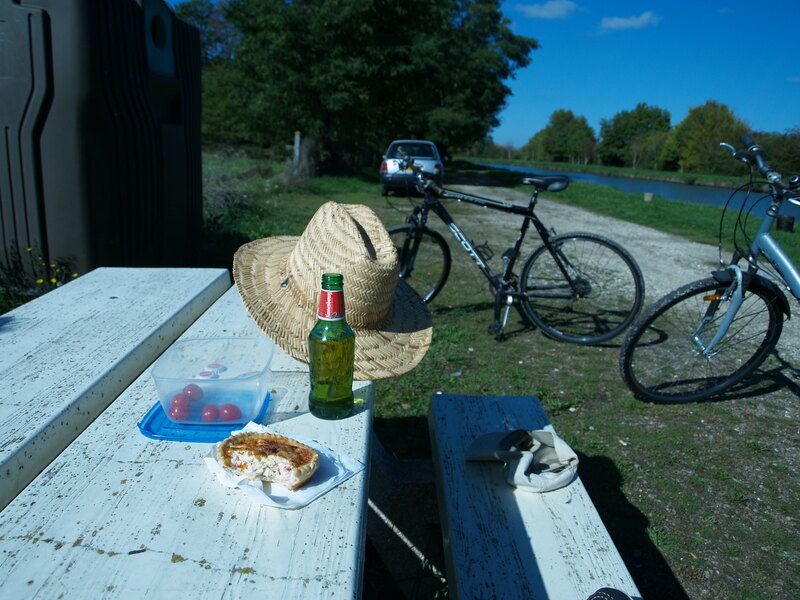 An 8km walk to Briare plus a longish wait for one of the few trains to Montargis and then Souppes-sur-Loing filled the following day for me. We needed the car and we needed vittels. 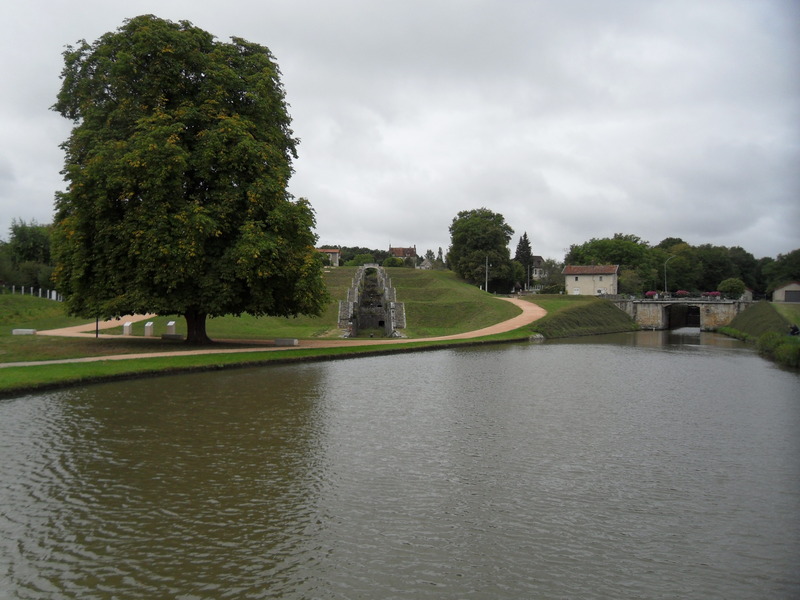 I took the opportunity to wander around Briare and look at the commercial port where ‘Aurigny’ would spend the winter. 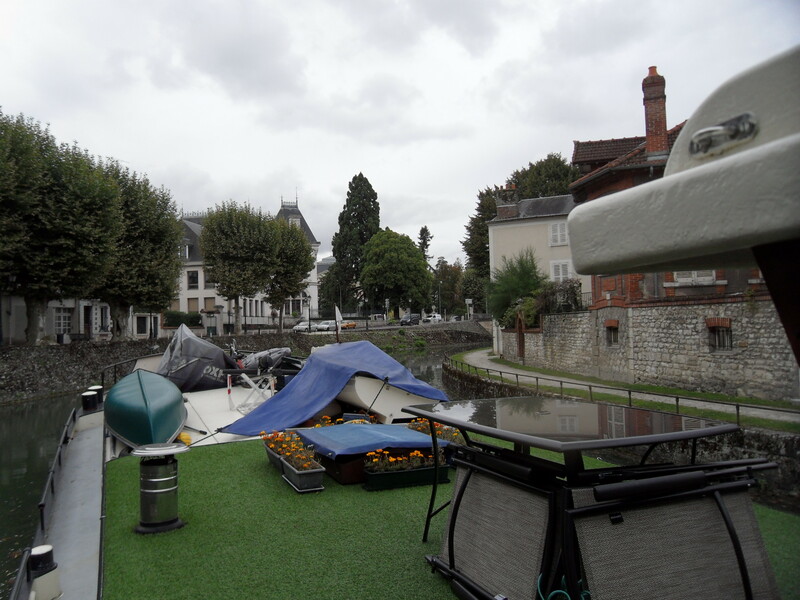 After a couple of days we cruised on through Briare and crossed the pont-canal (aqueduct) stopping beyond at a small quay in the wild. Approaching the narrow entrance of the Aqueduct. 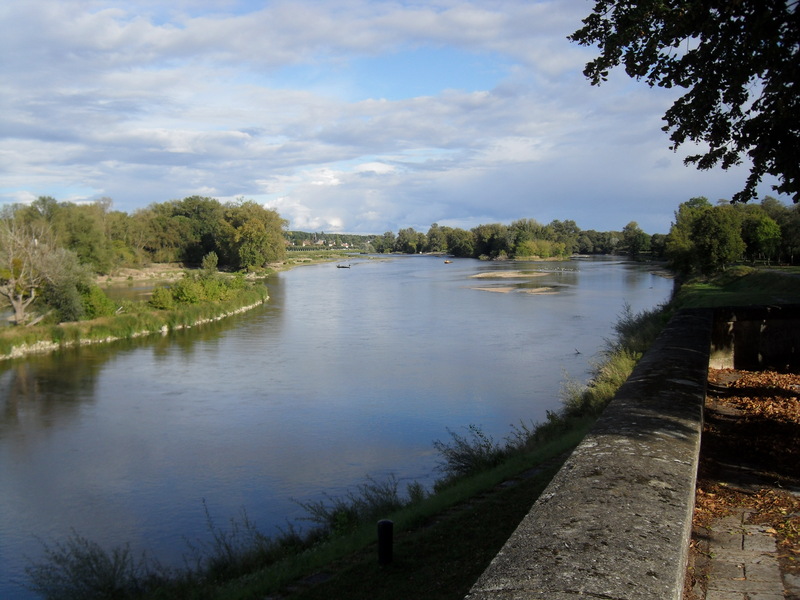 The impressive River Loire is never far away from the Canal Laterale a la Loire which we now found ourselves on. 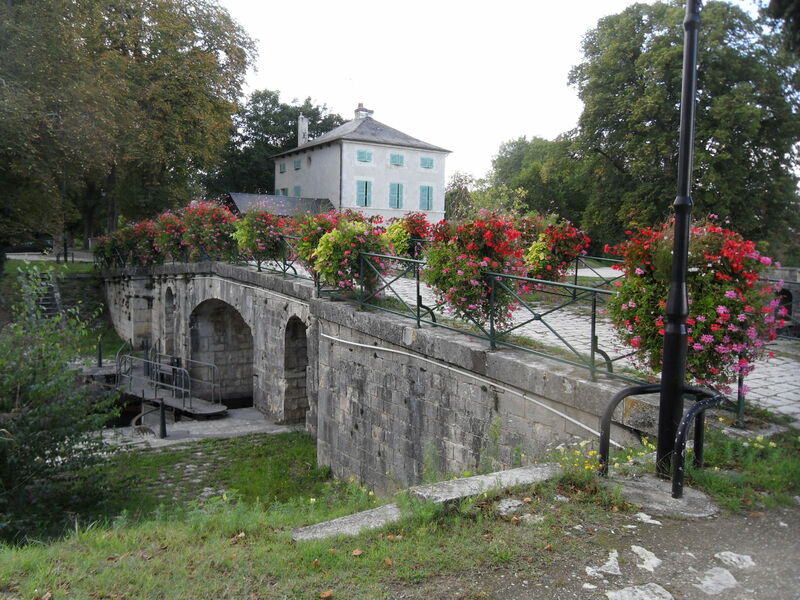 The pont-canal at Briare was built in the nineteenth century to facilitate the crossing of the Loire by barges. Not much wiggle room ! 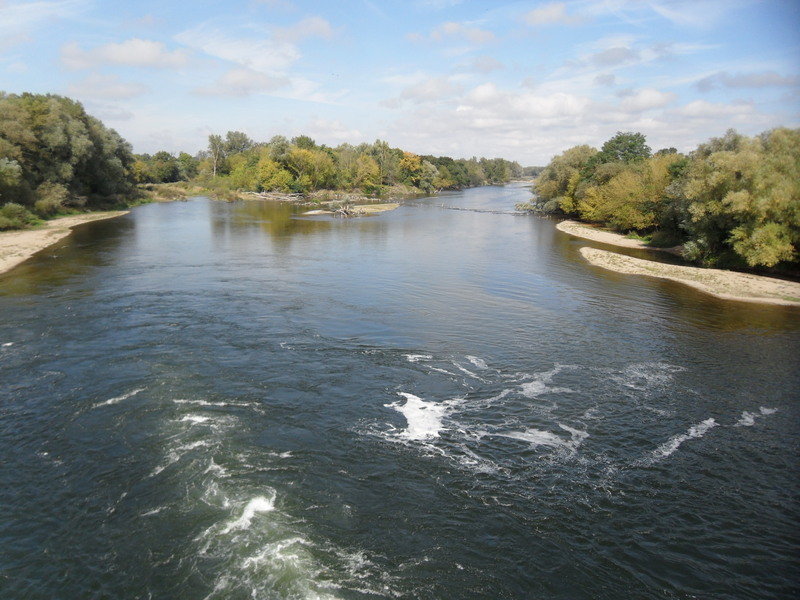 Below us the wild River Loire. 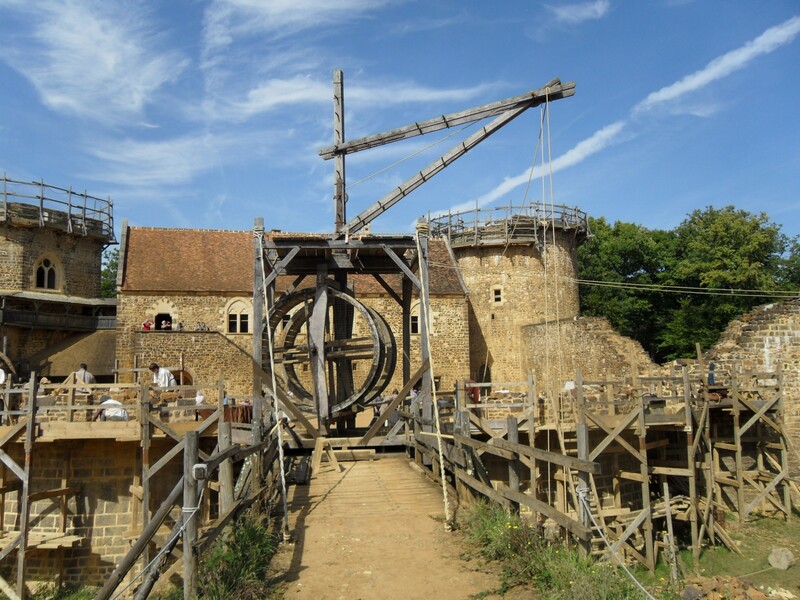 With plenty of time on our hands, we visited the old lock of Mantelot near Chatillon-sur-Loire which is on the south side of the river and from where barges used to cross to the Combles lock to the north. 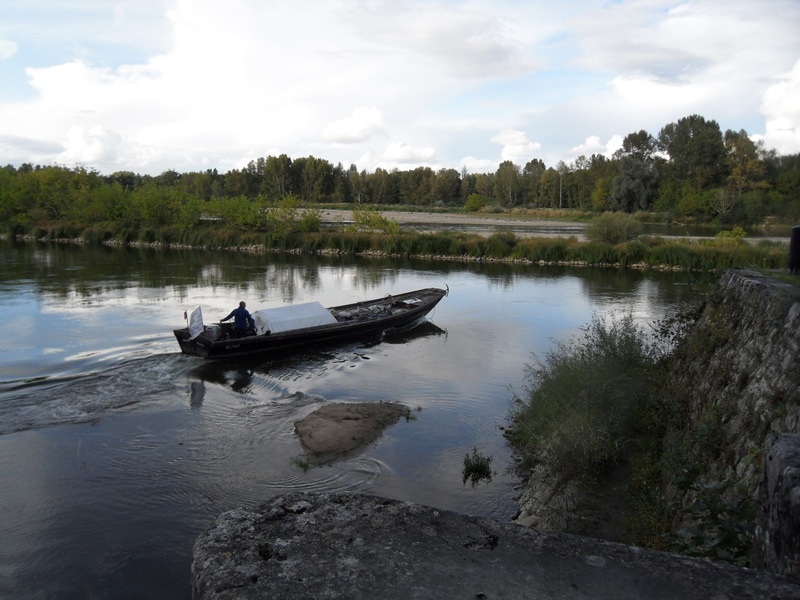 While we were there an old Loire barge was passing through. 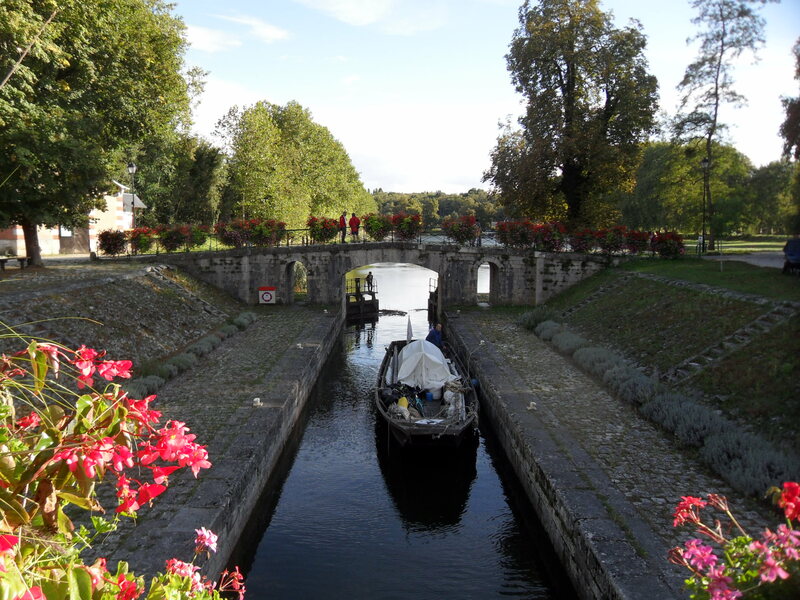 The bridge and lock leading onto The loire. Not often used but we were lucky to see one of the old boats. And out into the fast flowing shallow river. Not a place for vessels such as ours. 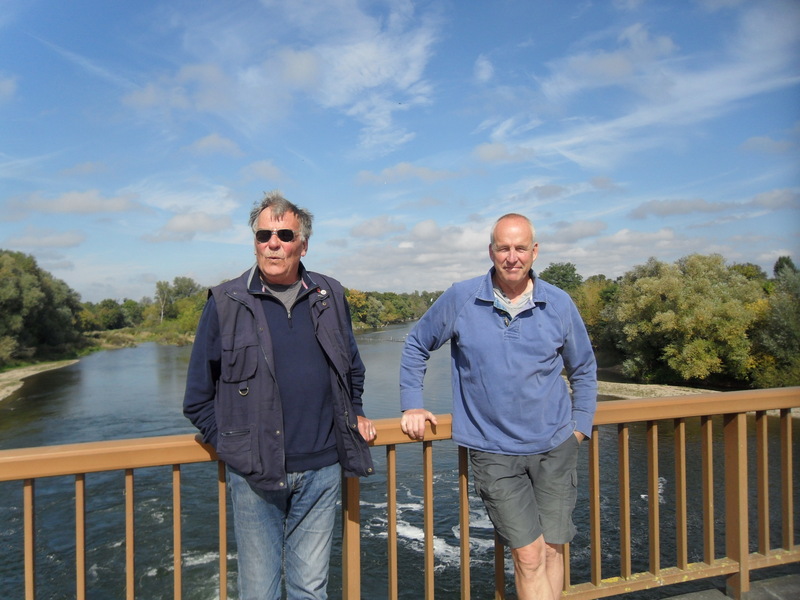 For the next few weeks we cruised short distances, stopping at Beaulieu (where Paul joined us,) Belleville-sur-Loire, Lere, Menetreol-sous- Sancerre and La Chapelle Montlinard. All these moorings provided free electrics and water and boulangeries. 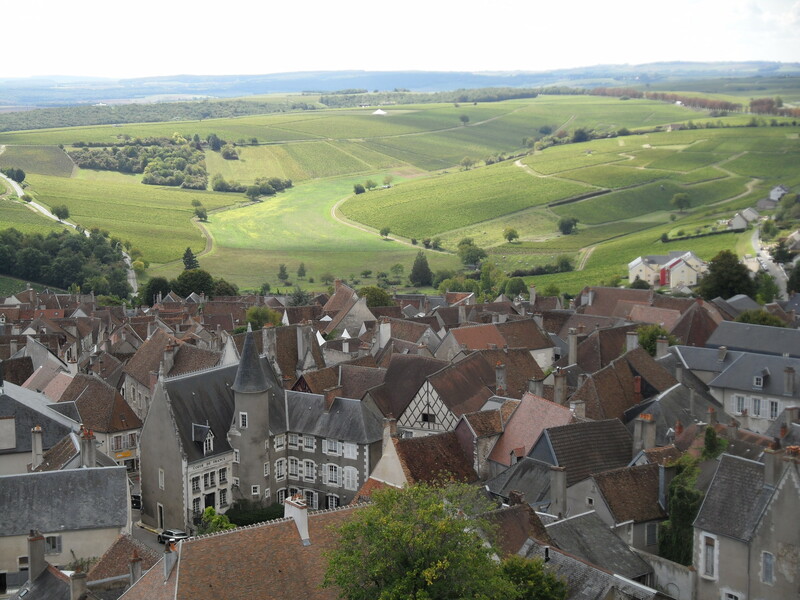 The view from the tower at Sancerre to the Loire below. 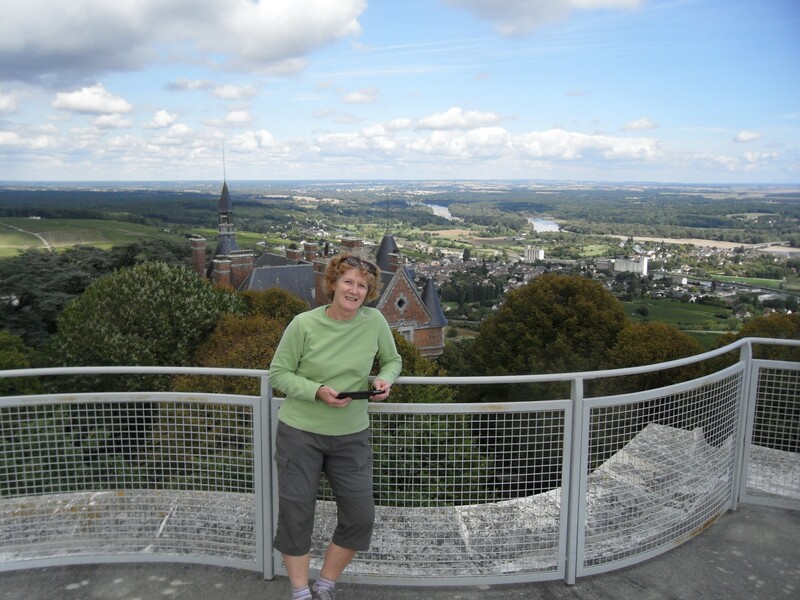 199 steps below, the lovely town of Sancerre. We could now leapfrog with the cars and Paul would drive ahead to check out available moorings. As usual, he brought some fine weather with him and we took advantage of this to visit some interesting places. 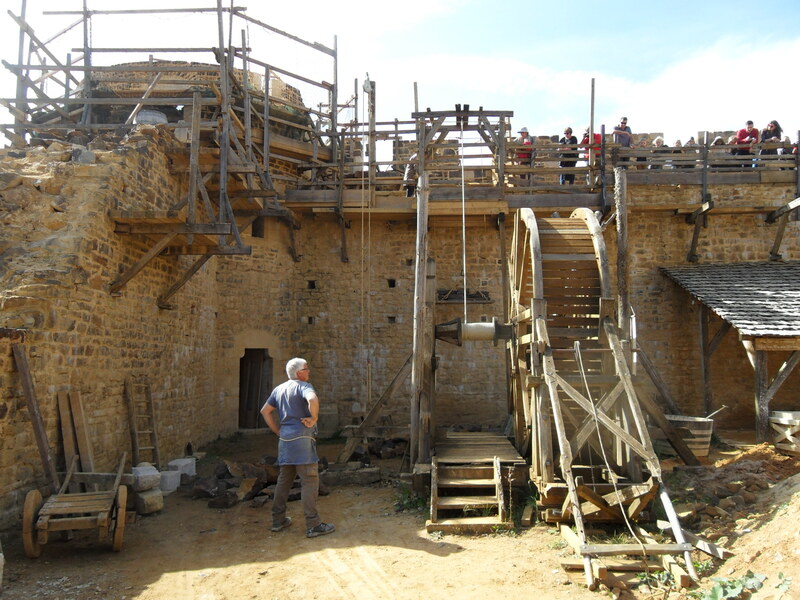 An afternoon at the impressive Guedelon where they are building a Chateau Fort using only tools, materials and methods which were available in the Middle Ages and a trip into Sancerre which is up on a hill. There we enjoyed a light lunch washed down with a bottle of Sancerre wine before driving back to Lere through the vineyards. 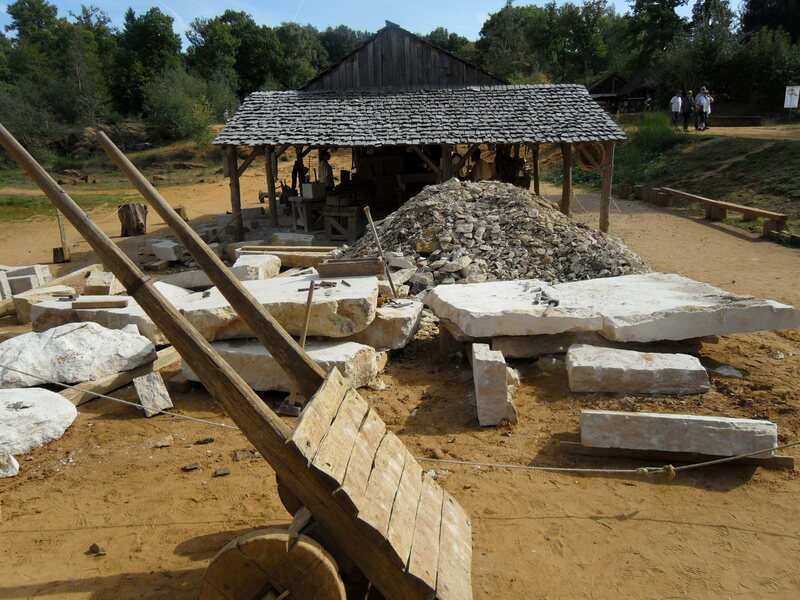 Still under construction using traditional skills. No shortcuts allowed, an impressive project. Sadly the fish still proved to be elusive in the canal, but the boules got plenty of use on whatever suitable terrain the chaps could find. We also collected lots of walnuts, there being trees all along the canal. 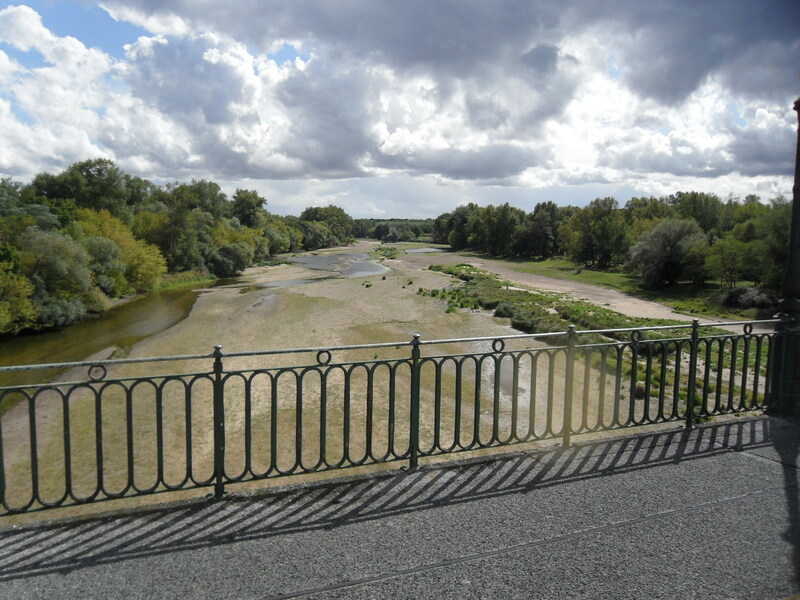 One of several long bridges over the Loire. The nearby town, Nicci waiting for us to stop looking at fish ! 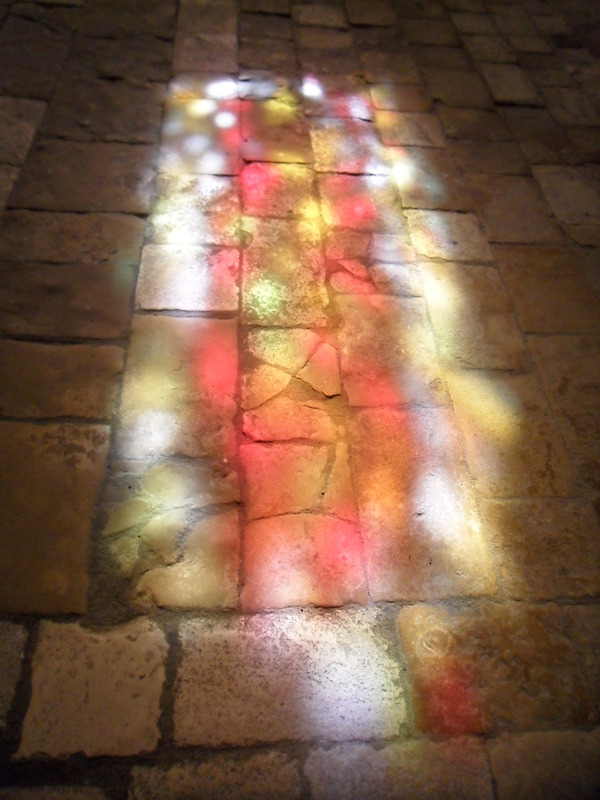 Inside the church the stained glass reflecting on the old stone floor. Our only problem occurred at Menetreol-sous-Sancerre late one Sunday afternoon when the impatient skipper of hotel barge ‘Deborah’ locked horns with Peter over the space at the mooring. If they expect the right amount of space they should make sure the bollards are put out correctly before they arrive!! A disused grain silo means we can avoid the slope sided quay. 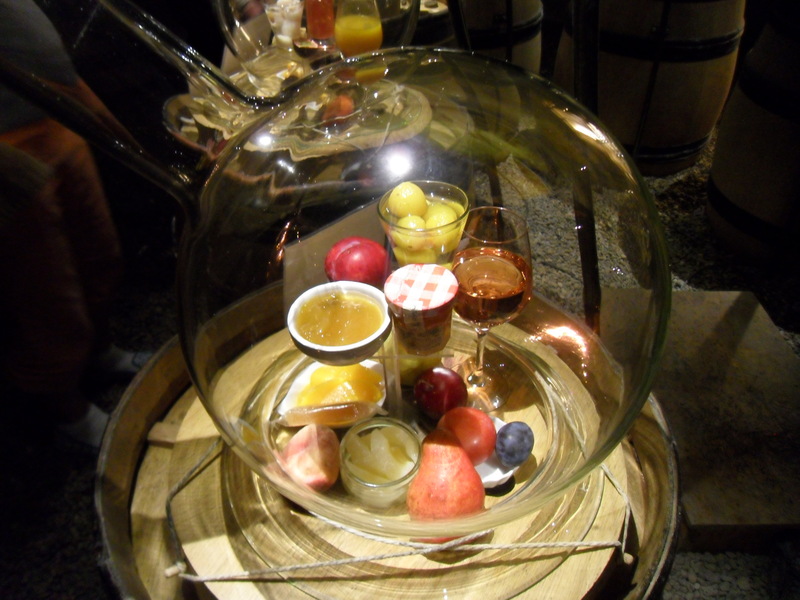 And later on, aperos with Jenal. Paul left us from La Chapelle Montlinard and later that day, ‘Jenal’ arrived and we were able to catch up with Jennie and Alan’s adventures. Rather like us they were cruising past their winter port before turning around and heading back for the winter. After just under a week we moved on once more, but only as far as the smart quay at Beffes. 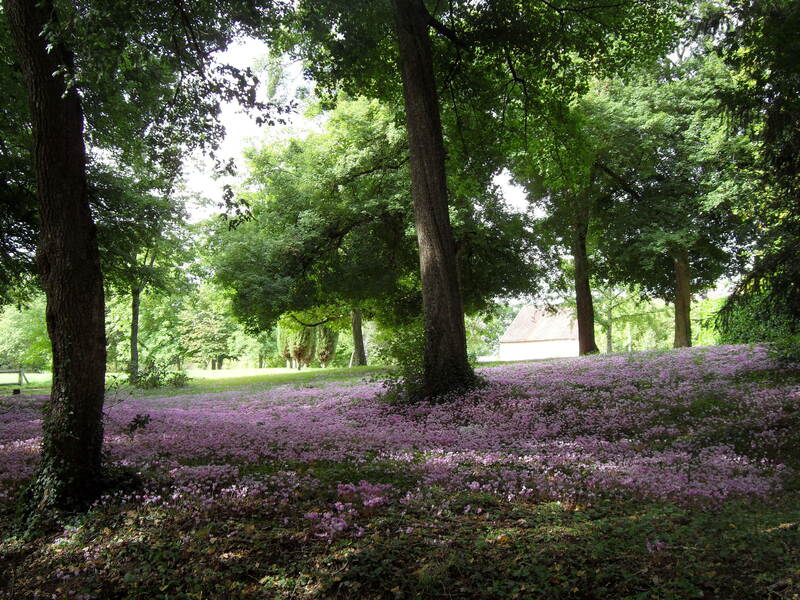 I enjoyed several walks, a couple with Kevin and Herbie (‘Avallon’) who joined us there. 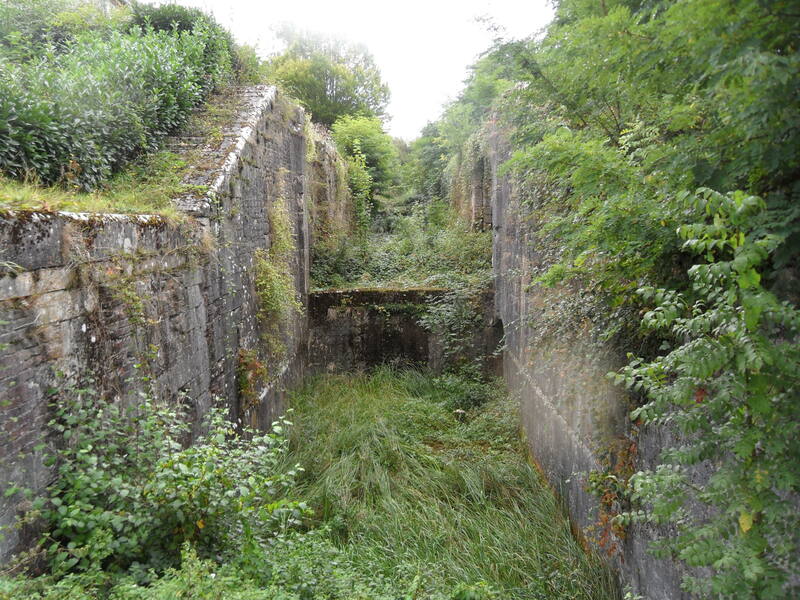 We visited the local lime kilns which are among several along this stretch of the canal. 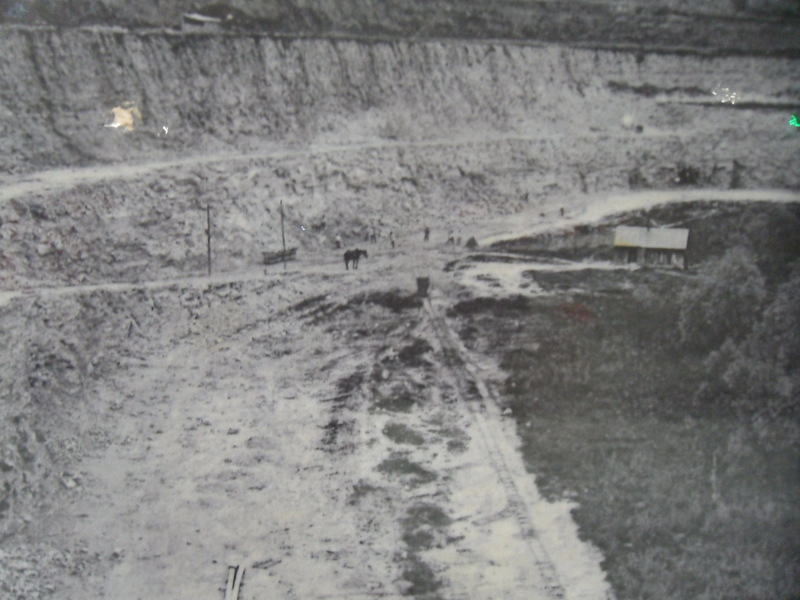 The quarry is now filled with water and used for scuba diving. 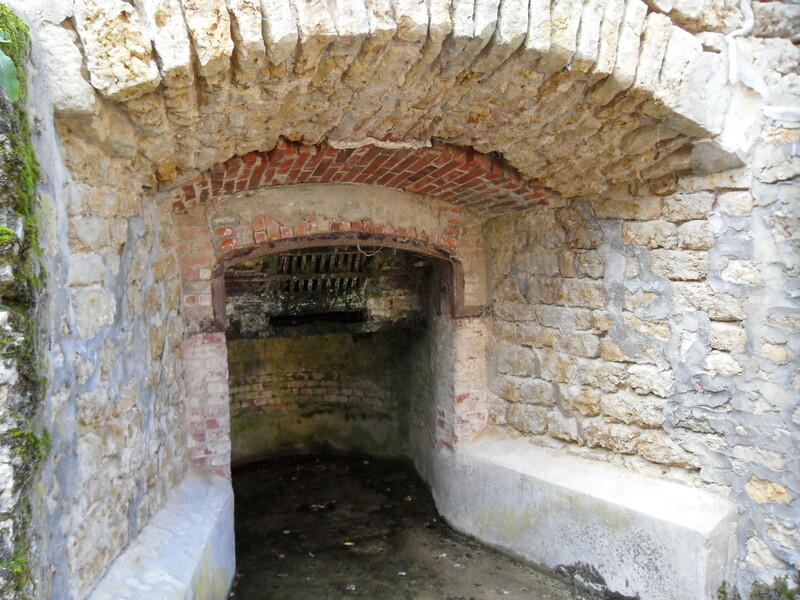 The bottom of one of the lime kilns. 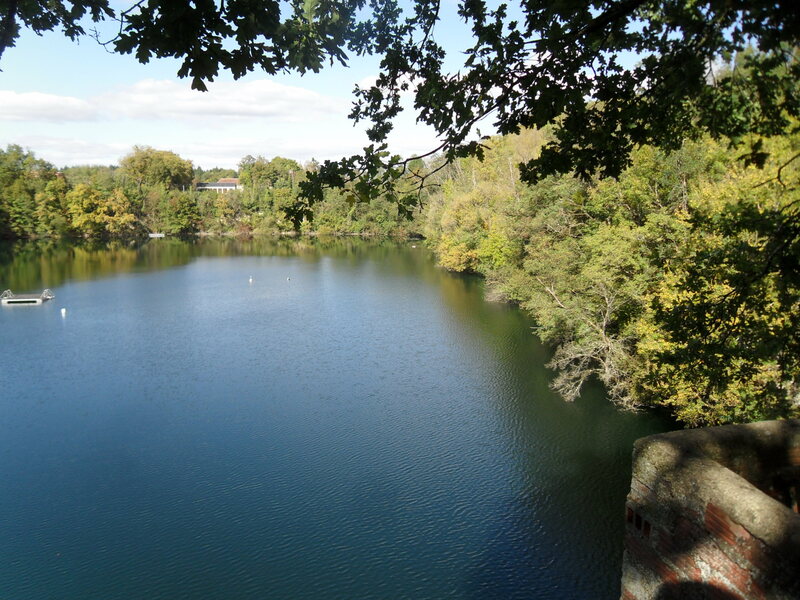 Now one of the foremost diver training locations in France. Beffes was a far south as we cruised this season and we turned around after a few days and headed north once more, intending to stop at some different spots when possible. We stopped at Herry and were soon joined by ‘Jenal’ who had turned around at Sancerre. 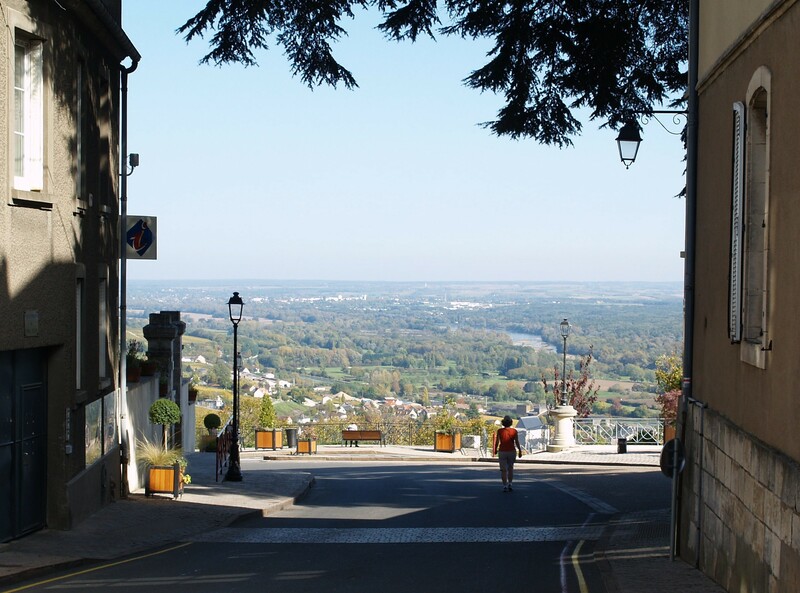 The following day we all drove to nearby Pouilly-sur-Loire and after exploring the town enjoyed lunch in the one and only open restaurant. Cute ‘flour pots’ with a little mouse ! 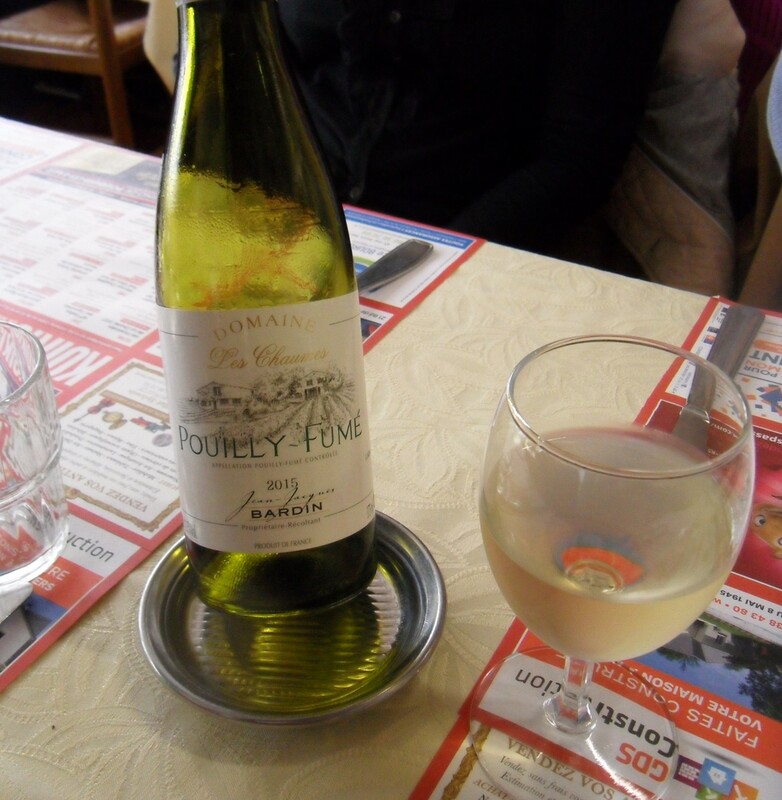 Pouilly in Pouilly…rude not to ! 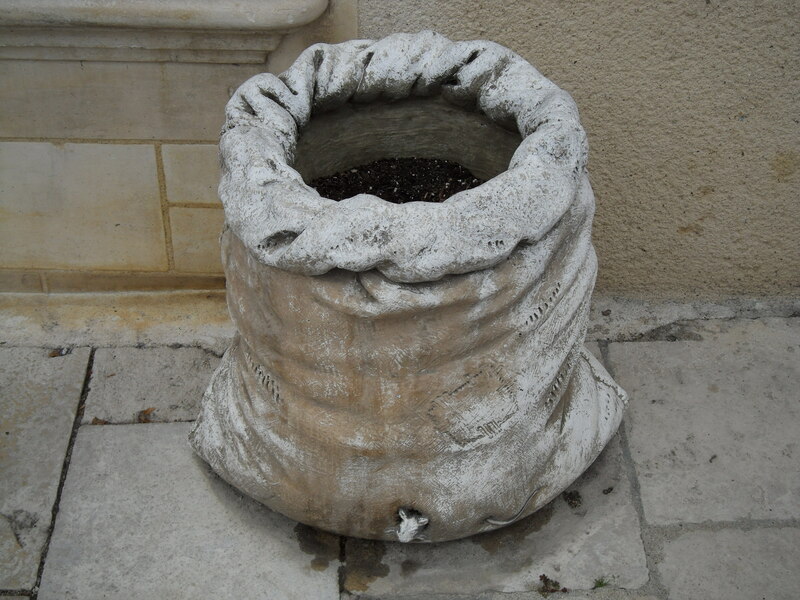 In the afternoon we visited the Tour de Pouilly-Fume in the Tourist Office and learned all about the production of the local wine – Pouilly-sur-Loire and Pouilly-Fume. Four different ‘degustations’ went down very well. Well laid out displays in the tourist office tasting. After a final ‘au revoir’ to ‘Jenal’, we moved back up to Menetreol-sous-Sancerre, having attempted unsuccessfully to stop at a couple of wild moorings en route. The hotel barge warning cones were out and we made sure we were outside the marked area. 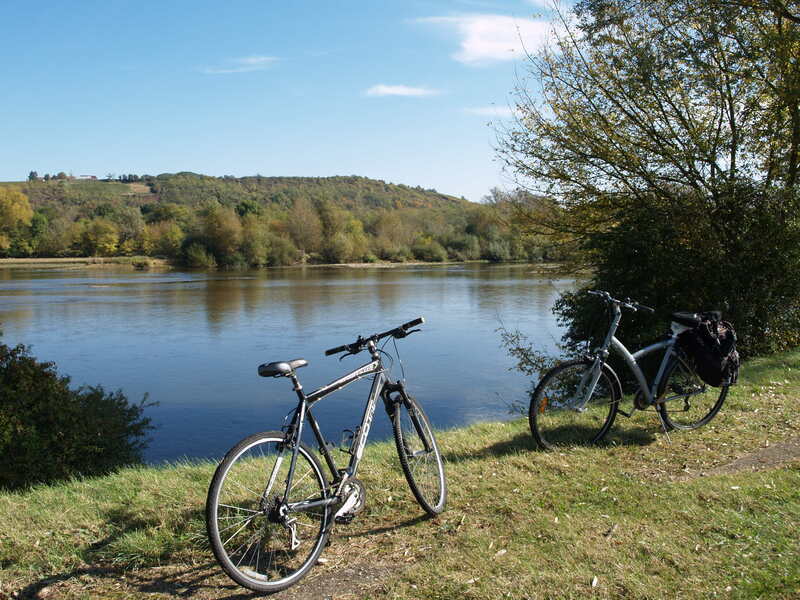 The ‘Loire a Velo’ cycling route runs the entire length of the River Loire, so we took the opportunity to cycle back together to Herry to collect the trusty Micra. The weather was fine and we were enjoying something of an ‘Indian Summer’. 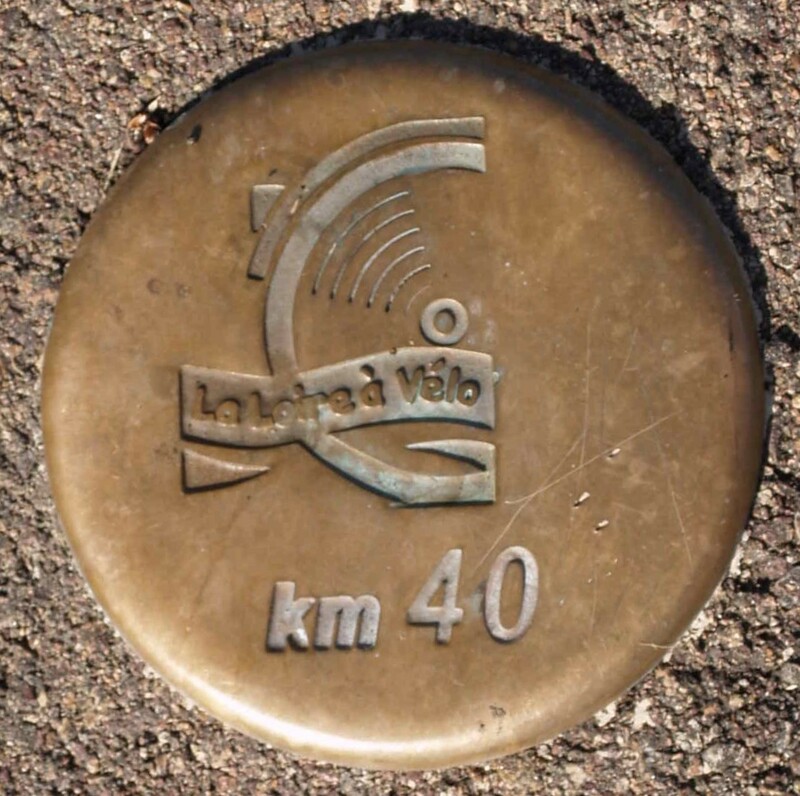 Kilometre markers set into the tarmac. A light lunch at Herry before driving back. 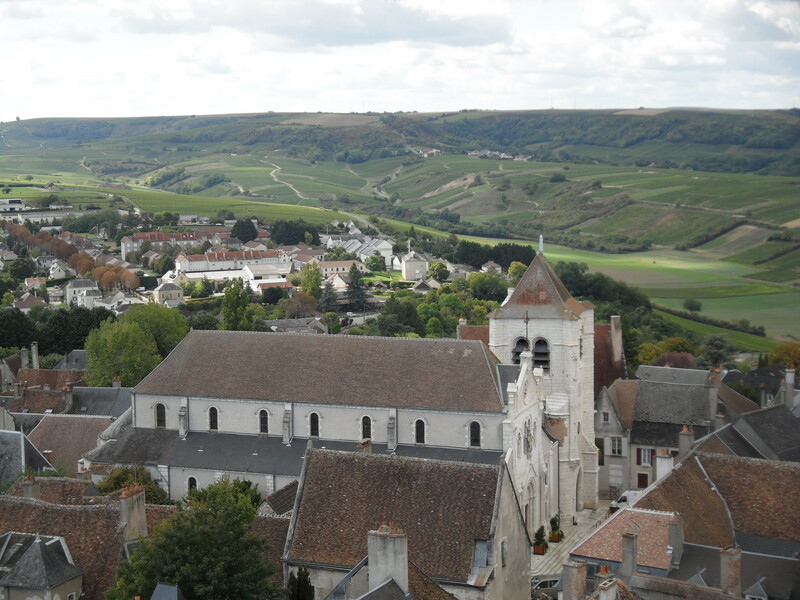 We also followed the town walk route in Menetreol which took us up to the old viaduct and had a drive up the hill to Sancerre for another look-see. 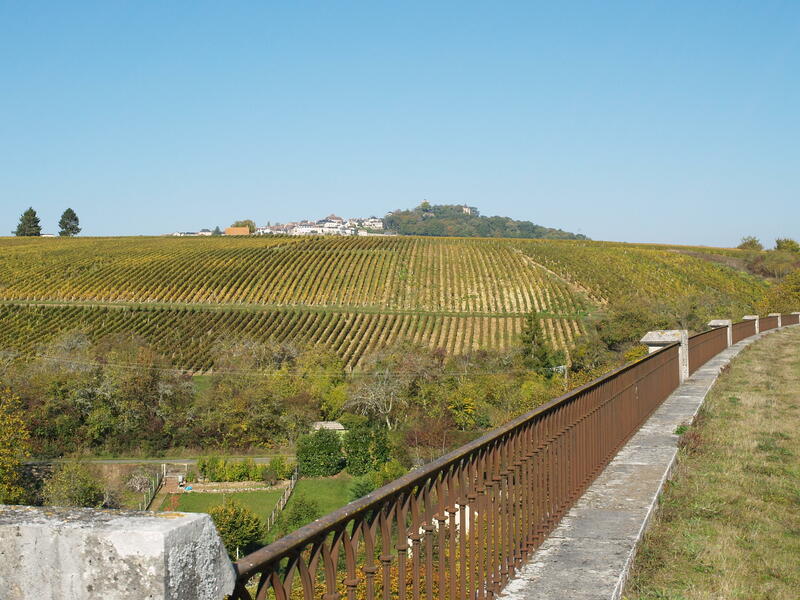 Sancerre in the distance, walking over the old viaduct. 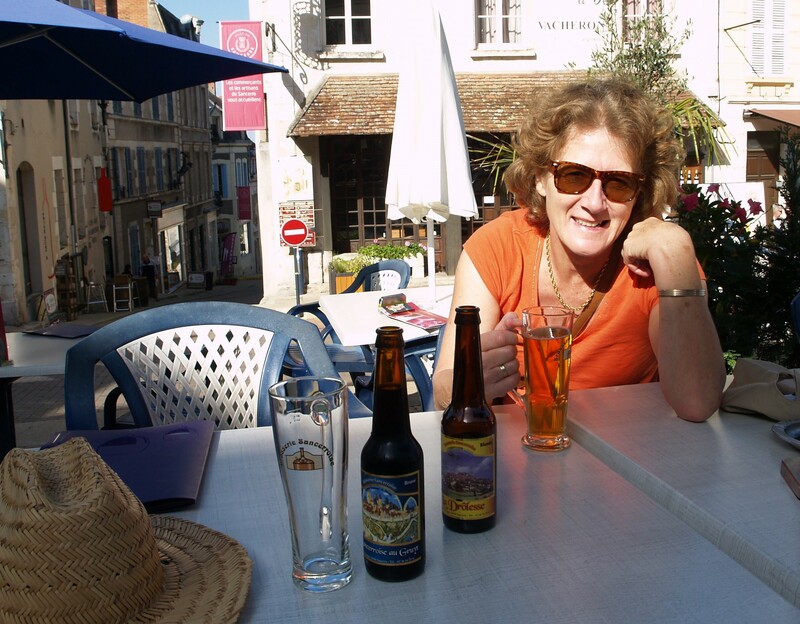 A beer in the town square to cool us down. Off back down the hill. ‘Deborah’ arrived once more and even though we were not in ‘her zone’, we were asked to move along a bit! I told the young crewman that we were not in the marked area and not moving anywhere so they picked on a French cruiser instead…which was in the ‘zone’. As ‘Deborah’ left the next day, asipods firing, we heard a ‘bang’ which I thought was our gang plank and attached bikes moving. Alas no- as we were to discover a couple of days later. Jane, Guy and Lulu joined us on ‘Hibou’ and we enjoyed a couple of boozy aperos evenings together…it really is a long village. We decided to move on after six days and as we cast off Peter said those awful words – “We have no steering”. Fortunately, we were able to return our mooring in reverse gear, using ropes (me) and with Jane and Guy fending off. The welding holding the bracket which supports the chain and steering ram had broken; probably not helped by our two encounters with ‘Deborah’s asipods! That was the loud ‘bang’ we had heard as she left. Peter spent several very hot and cramped hours over the next two days affecting a repair. Drilling and bolting the offending bracket in unseasonably warm temperatures in the stern compartment/locker. Our last week’s cruising was far more relaxing on the whole; with stops adjacent to the Hotel Buisson above Bannay lock (where we had a nice lunch but had to move off early evening when the water level dropped and we went aground,) at Lere ( where Hibou caught up with us again) and finally at Beaulieu. On a rather dreary Sunday at the end of October we moored up for the last time this season in the Commercial Port in Briare.